Another piece from several years ago, edited slightly. This first appeared in TGO in 2010. With the summer backpacking season about to begin I have been musing on long distance paths and the attraction they have for many walkers. What is it about these narrow strips of dirt that seems so magical? 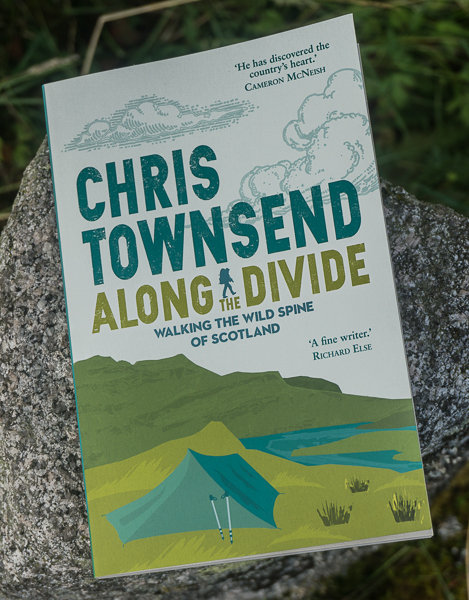 Just the names alone can call out and conjure up images of wild landscapes, spectacular camps, red sunsets, cool dawns and the joy in the simple act of walking all day every day. The Pennine Way, West Highland Way, Kungsleden, Tour of Mont Blanc, Pyrenean Haute Route, John Muir Trail, Everest Base Camp Trek, Annapurna Circuit and many more – all with their own special qualities, attractions and difficulties, all enough of a challenge that completing them is an achievement but never so arduous or dangerous that the pain and fear outweighs the pleasure (though those who’ve tramped the peat bogs of the Pennine Way in constant rain or gazed down the chains leading down cliffs into the Cirque de Solitude on the GR10 in Corsica may disagree). On the GR20 in Corsica. Note waymarks! Long distance paths are a product of the boom in leisure time and the rise of outdoor pursuits in the nineteenth and early twentieth century. The first named recreational path was the Long Trail, which runs for 273 miles along the Green Mountains in the state of Vermont and was built between 1910 and 1930. Of course such long distance paths are in no way essential for long distance walking. Before they existed there were long distance walkers – those, that is, who hiked for pleasure rather than from necessity. 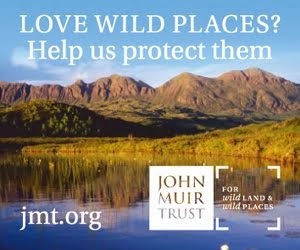 John Muir himself, for whom one of the most beautiful and spectacular trails is named, hiked 1000 miles from Indiana to Florida in 1867 - choosing the “wildest, leafiest, and least trodden way I could find” – and undertook many long walks in his beloved Sierra Nevada in California, where his eponymous trail now runs. Creating your own path like this is very satisfying – many of my long distance walks are my own personal routes, with no guidebooks or waymarks. But there is a particular delight in following a long distance path, especially if the route has been well-designed. In many areas hiking would be difficult, dangerous or even impossible without long distance paths. 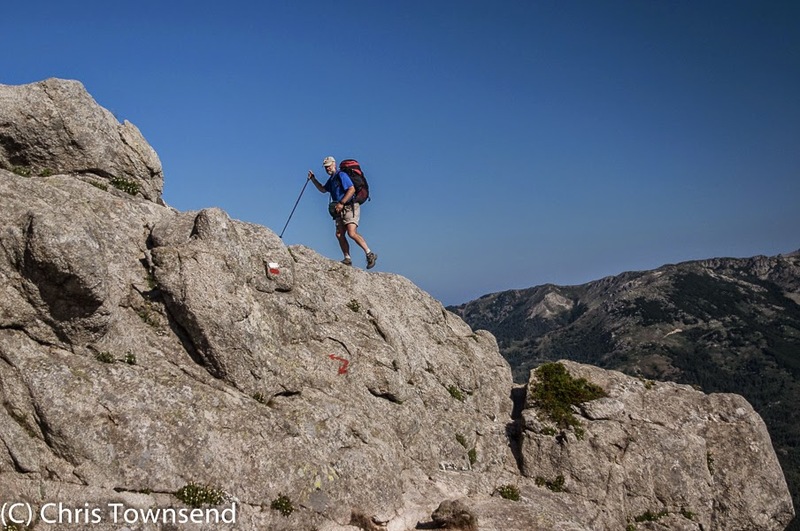 Forest routes like the Long Trail would be desperate bushwhacks through dense vegetation if there was no trail while high mountain routes like the dramatic and exposed GR20 in Corsica would be mountaineering routes requiring technical expertise and equipment. A simple narrow path can open up an amazing wilderness world. Britain’s first long distance path, the Pennine Way, was conceived at a time when the Pennine grouse moors were banned to walkers. Writer and walker Tom Stephenson’s vision of a trail from Derbyshire to Scotland along the Pennine hills was one of freedom and access at a time when attempting such a walk would have meant trespassing, dodging gamekeepers and risking arrest. Most long distance paths are a few hundred miles in length and can be walked in a few weeks. Some, however, are ultra long distance and take many months to complete, stretching for thousands rather than hundreds of miles. The first of these was the Appalachian Trail running for 2178 miles along the mostly wooded Appalachian Mountains from Maine to Georgia, which was built between 1923 and 1938. In Europe there are long distance paths known as E routes, made by connecting shorter trails, such as the 4960 kilometre E1 from Sweden to Italy and the 10,000+ kilometre E4 from Spain to Greece. The routes sound interesting. The names are not. There is no magic in them. More attractive and romantic names would make these routes far more appealing. Britain has no waymarked or official ultra long distance paths but Land’s End to John O’Groats can be seen in the same light, especially now there are guidebooks to suggested routes and it’s possible to link shorter long distance paths almost the whole way. The most ambitious long distance path of all is the International Appalachian Trail, which is intended to run through all the landscapes on both sides of the Atlantic that were once part of the ancient Caledonian Mountain range that split apart as the Atlantic formed. This means a trail running from the south-east USA through Canada, Greenland, Norway and the Scottish Highlands to finish in Spain. As an international endeavour the IAT cuts across governments and nation states and speaks to the shared values of all walkers. I hope it prospers. In my view the main aim of long distance paths is to open up nature and wild places so people can enjoy them. For many the human side of long distance paths is as or even more important though – the meetings along the way, the sharing of experiences, the new friendships, the reunions. On popular paths walkers meet regularly in towns and at camp sites along the way. Current description of walks along the 2,600 mile Pacific Crest Trail (arguably the finest of all the ultra long distance paths) often sound like a party on the move. (When I hiked the PCT in 1982 it was much less popular – there were only a few parties and not many people at them!) And away from the trail long distance paths can act as a short-hand amongst walkers. Establish you have both hiked the same long distance paths and new acquaintances suddenly have much in common to discuss and experiences and places to compare. For walkers long distance paths are a wonderful resource, for dreaming and planning and poring over maps as well as for actual walking. I think they also have a greater value and significance that reaches far beyond those who walk them. 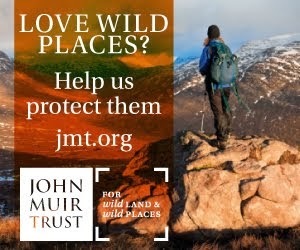 By revealing the beauty and glory of the natural world and the wild land they run through long distance paths create a body of people to defend and protect that land. Having a named path can give an identity and meaning to a landscape that makes it easier to argue against despoliation and for preservation and restoration. People who love a long distance path are in an ideal position to fight for its continued existence, which means protecting the landscape through which it passes. And the length of a long distance path is a boon here as it means protecting or creating a continuous corridor over a great distance, rather than just an isolated spot. Official government involvement can mean something other than signposts too. 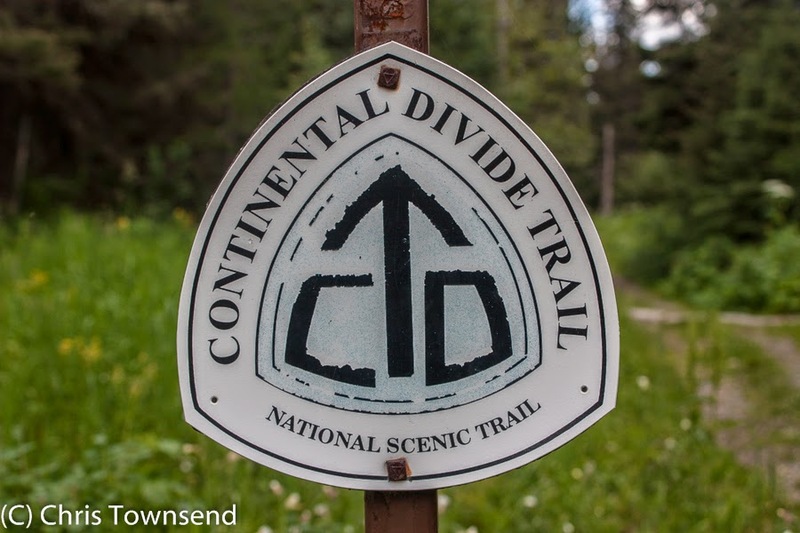 Officially designated long distance paths are not necessarily superior in any way to unofficial ones – in fact they may involve compromises that reduce the potential of the route. 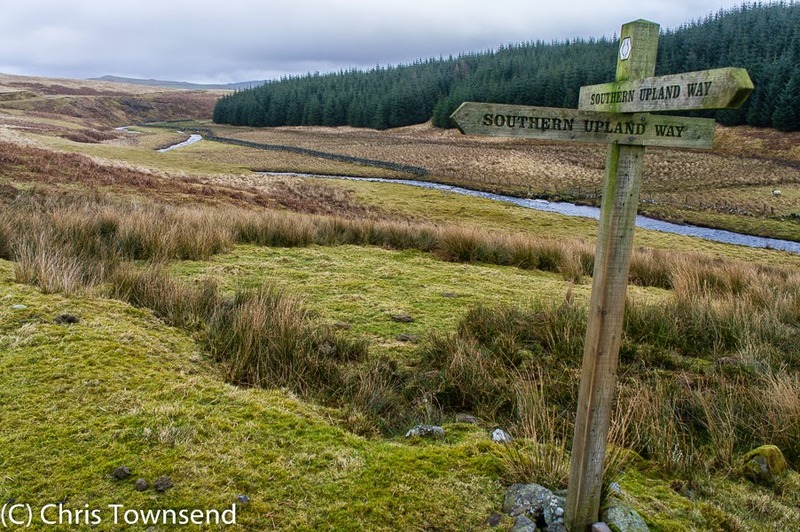 Because of landowners objections the Pennine Way follows the South Tyne Valley rather than the northernmost summits of the Pennines. 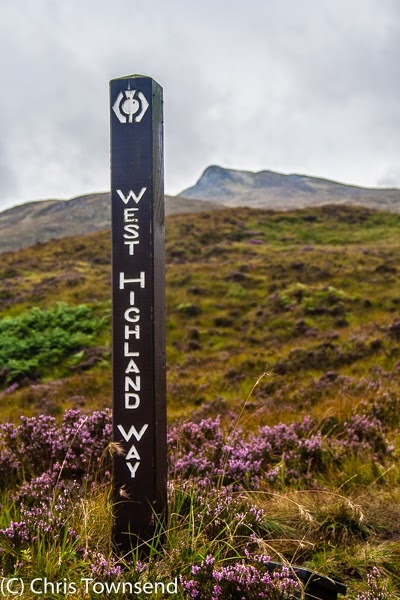 In Scotland the finest long distance path is undoubtedly the unofficial Cape Wrath Trail. But once government has made a path official it’s agencies are then meant to conserve and promote it – agencies to which pressure can be applied if they neglect this, a lever that can be used to defend long distance paths. And that is to the benefit of us all. For me it's simply about moving, momentum; putting one foot in front of the other so a new vista opens up, new horizons to saviour and adventure at every turn. When I am not hiking I think about hiking. When I am not thinking about hiking I dream of hiking. One day I will begin to walk and won't stop. My ultimate long distance path. Great post that nails some spot on points. My wife and I are doing the Pennine Way, Coast to Coast followed by the JMT this summer which is something we've been planning for a couple of years now. For us it's all about the outdoors and enjoying the landscapes. We've done a few multi-day hikes recently that have been a little taster of what's to come! I don't think there can be anything better than being on a trail and just walking in fantastic landscapes. John Muir has to be one of the world's greatest heroes in my opinion and his 'wander a whole summer' quote sums up summer adventures. Chris your top photo is rather apt. 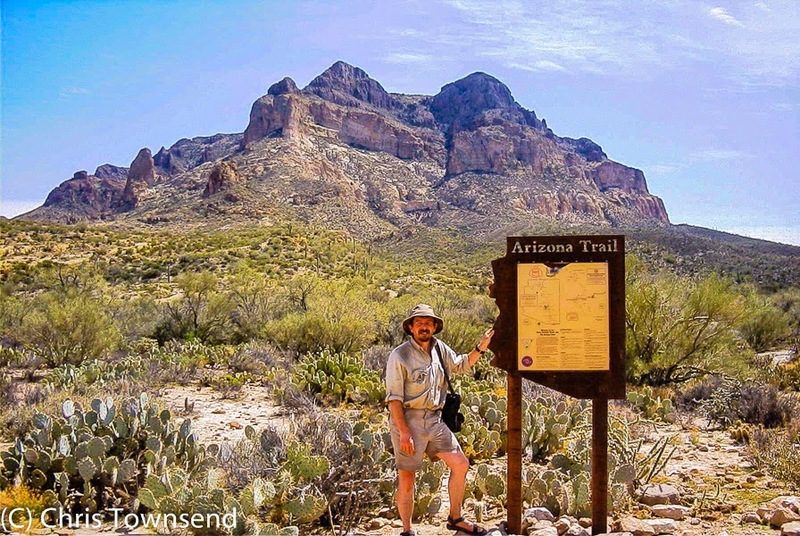 I have just finished you Arizona Trail book. I think it your best, but I am looking forward to when you bring out your PCT book - will that be this year? Thanks Mark. Glad you liked the Arizona book. The PCT book should be out this year - I haven't quite finished writing it yet though!